State lawmakers convened this week for the beginning of the state’s 80th meeting of the Legislature in Carson City. Edison Graff/Speical to the Times-Bonanza Nevada Gov. 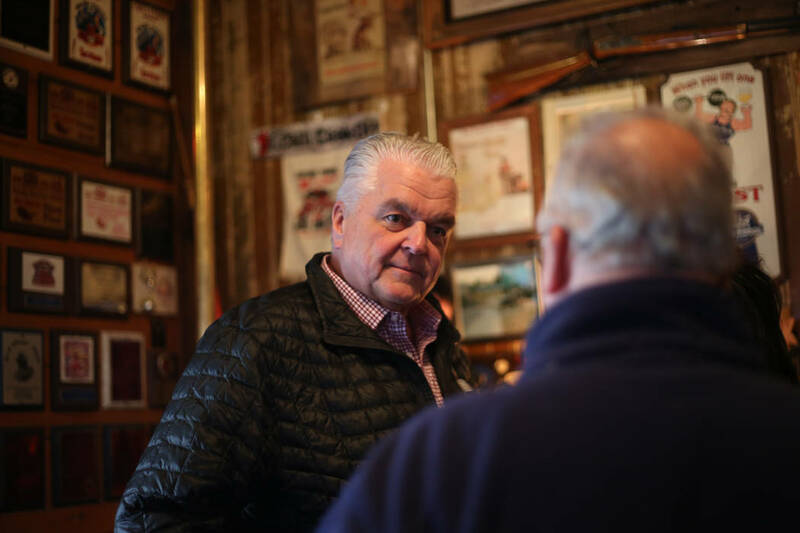 Steve Sisolak speaks with locals and others at the Happy Burro Chili and Beer in Beatty on Jan. 4, 2019. Sisolak traveled through several Nye County towns on the way to his inauguration ceremony in Carson City from Las Vegas. K.M. Cannon/Las Vegas Review-Journal Speaker Jason Frierson, D-Las Vegas, presides over the Assembly the Legislative Building in Carson City on the first day of the 80th session of the Nevada Legislature Monday, Feb. 4, 2019. Cathleen Allison/Las Vegas Review-Journal Nevada Gov. Steve Sisolak delivers his State of the State address to the Legislature in Carson City, Nev., on Wednesday, Jan. 16, 2019. The new governor spoke about his priorities for his term on the way to Carson City from Las Vegas, in transit to his inauguration on Jan. 7. 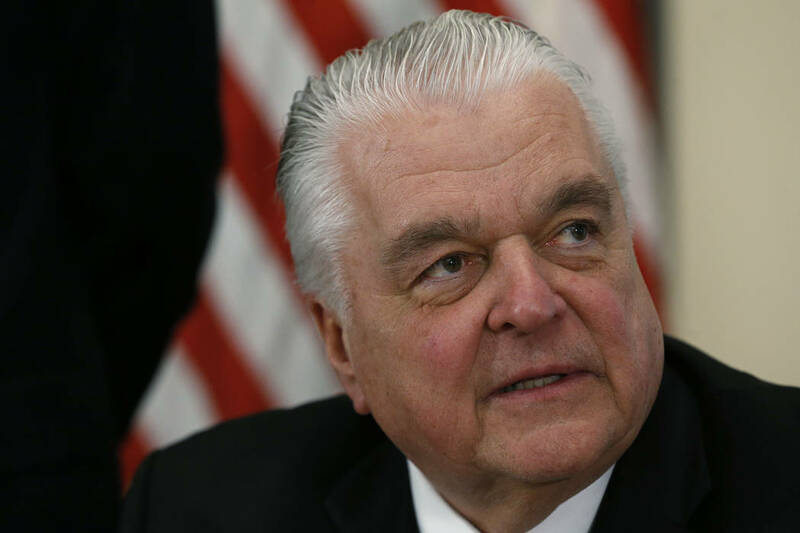 Cathleen Allison/Las Vegas Review-Journal Nevada’s first Democrat governor in two decades, Steve Sisolak, laid out his priorities for his term on his trip. The session gets underway with a majority of Democrats in the state Assembly and Senate, along with holding power in the governor’s mansion. 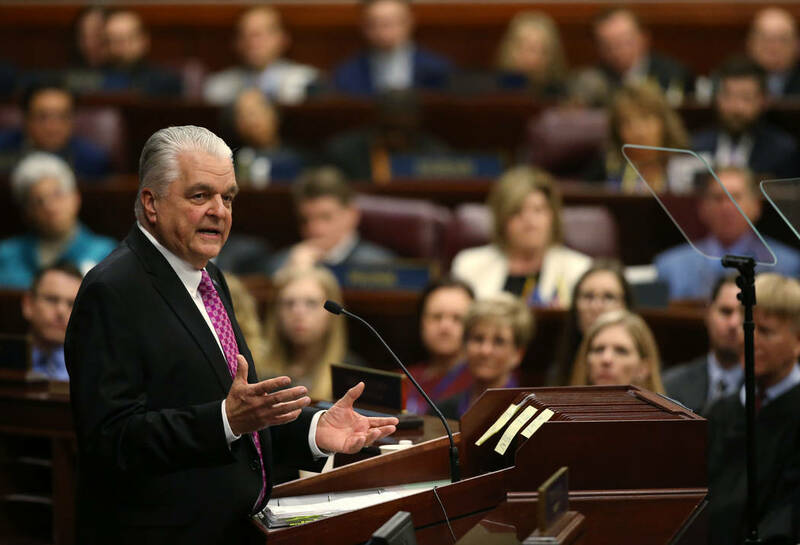 Nevada’s first Democrat governor in two decades, Steve Sisolak, laid out his priorities for his term on his trip to the state capital from Las Vegas for an inauguration ceremony last month—many issues that could affect all Nevadans, both rural and urban. Some of those issues include tougher gun laws, education and school safety as he passed through several spots in Nye County, including Beatty, Tonopah and other areas on his way to his inauguration last month. A reporter from the Times-Bonanza & Goldfield News caught up with the new governor in Beatty at the Happy Burro Chili and Beer to ask about some of his platforms and how that will affect rural Nevada. Sisolak is looking to push for tighter gun control in the state. “The administration, we wanted to implement background checks that were supported by the vast majority of citizens in the state of Nevada that feel that everybody buying a weapon should have to go through a background check and there’s some loopholes in there for gun shows and private sales that we want to close and make it safer for everybody and have background checks,” Sisolak said. A ballot measure that passed in 2016 carried with it a requirement to conduct a background check on private-party gun sales. The measure, however, was never implemented. Sisolak added that he was looking to ban bump stocks in the state. Despite Sisolak’s call for more regulation on guns, he said he believes in the Second Amendment. This effort includes looking at the distributive school account (DSA) formula. The current formula doesn’t address English Language Learners (ELL) students. These potential changes will help urban and rural, according to Sisolak. Sisolak said school safety is a big issue, and former Gov. Brian Sandoval implemented a Statewide School Safety Task Force in 2018. The final report of the task force was done in November 2018. “There’s the softer side of school safety, which means getting more counselors into schools that can help dealing with these kids; more advisers, getting somebody that can monitor some of the social media sites,” he said. 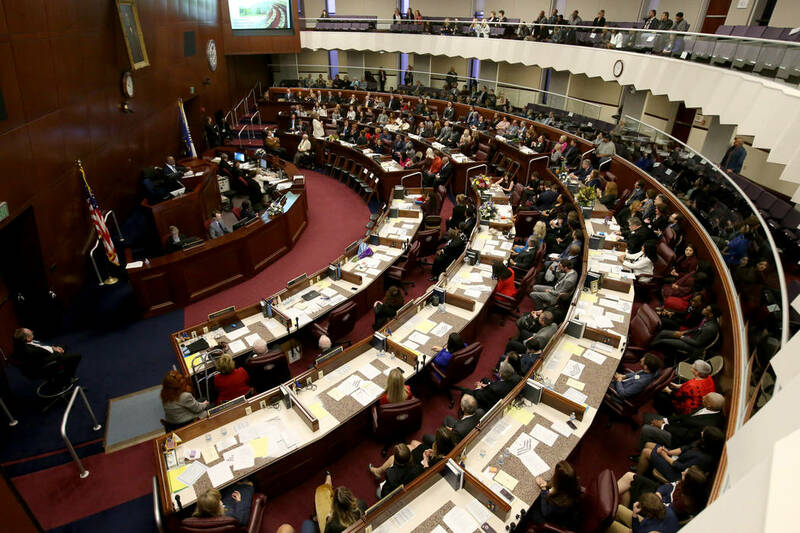 This writing is Part 2 of 2 of a series on how the face of rural Nevada could be reshaped under a new governor and a Democrat majority in the state’s Assembly and Senate. See the first portion in the Pahrump Valley Times’ Jan. 18 edition.